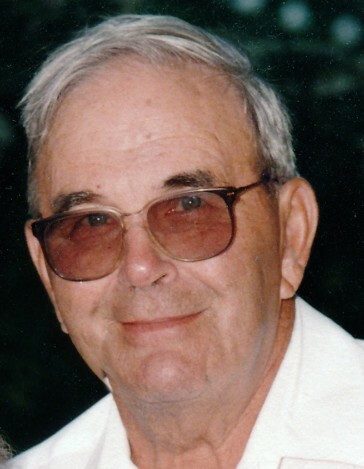 Dale A. Timmich, age 89, of Rothbury, passed away Wednesday, November 21, 2018 at White Lake Assisted Living Center. Dale was born May 3, 1929 in Muskegon, the son of Carl and Martha (Roltsch) Timmich. He married Lucille "Lucy" Gilbert on September 20, 1952. He was a self-employed well driller for many years. Dale enjoyed caming, deer hunting and playing cards. He lived near Rothbury most of his life. Dale is survived by his children, Mike (Loretta) Timmich, Jayne Taylor, Cindy (Bruce) Diebel and Tom (Tina) Timmich; grandchildren, Sarah (Phil) Condon, Holly (Paul) Rousseau, Keith (Lynn) Diebel, Jason (Sierra) Diebel, Kristina (James) Schmidt and Carl (Kara) Timmich; nine great-grandchildren; and several nieces and nephews. He was preceded in death by his wife, Lucy on February 12, 2005, his parents, and his sister, Bernice Studer. Visitation is Monday, November 26th, Twelve noon until the funeral service at 1 pm at Harris Funeral Home in Shelby. A luncheon will follow the service and burial will take place in Oak Grove Cemetery near Rothbury following the luncheon. Memorials may directed to Harbor Hospice, 1050 W. Western Avenue, Suite 400, Muskegon, MI 49441 or White Lake Assisted Living, 6827 Whitehall Road, Whitehall, MI 49461.